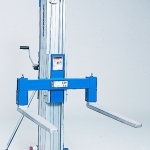 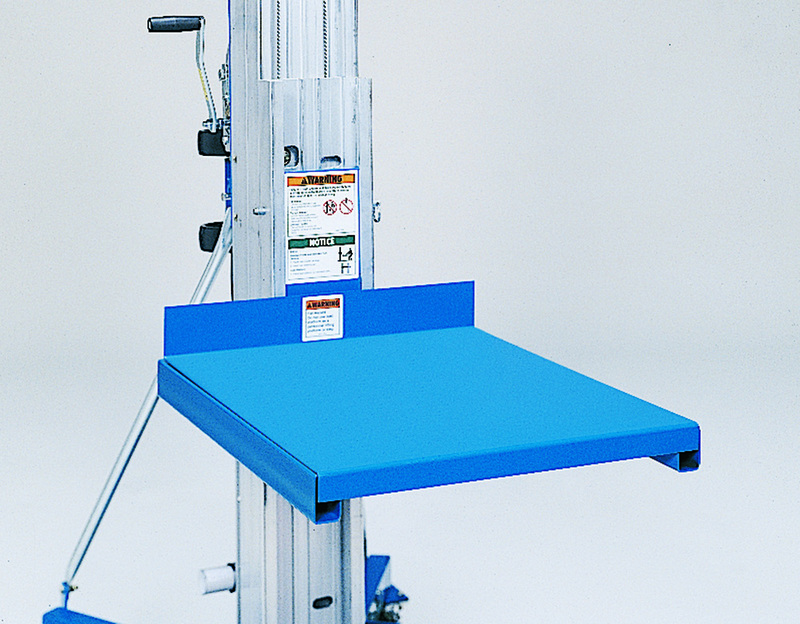 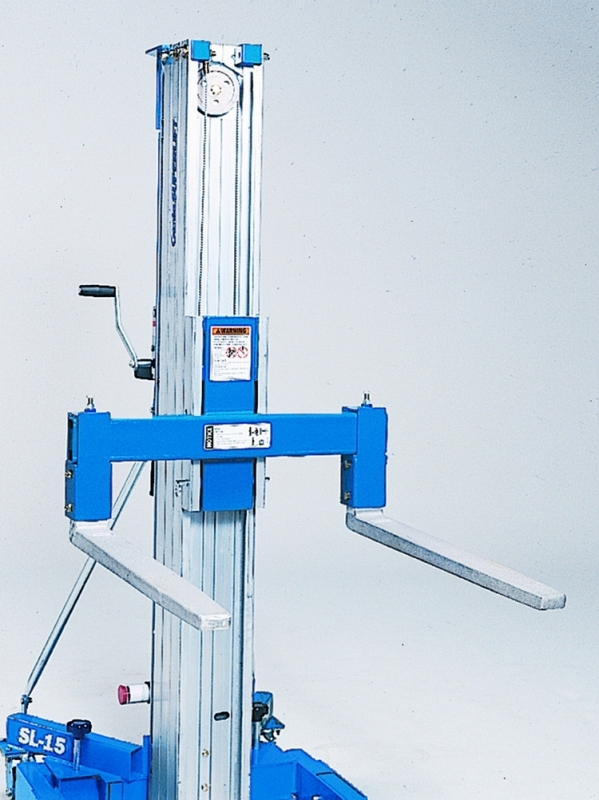 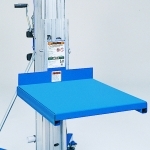 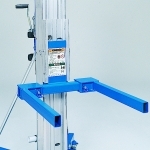 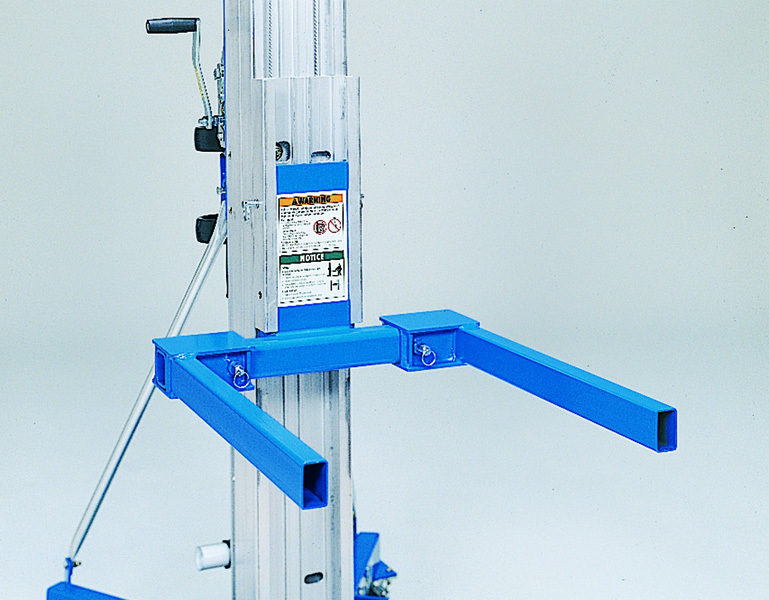 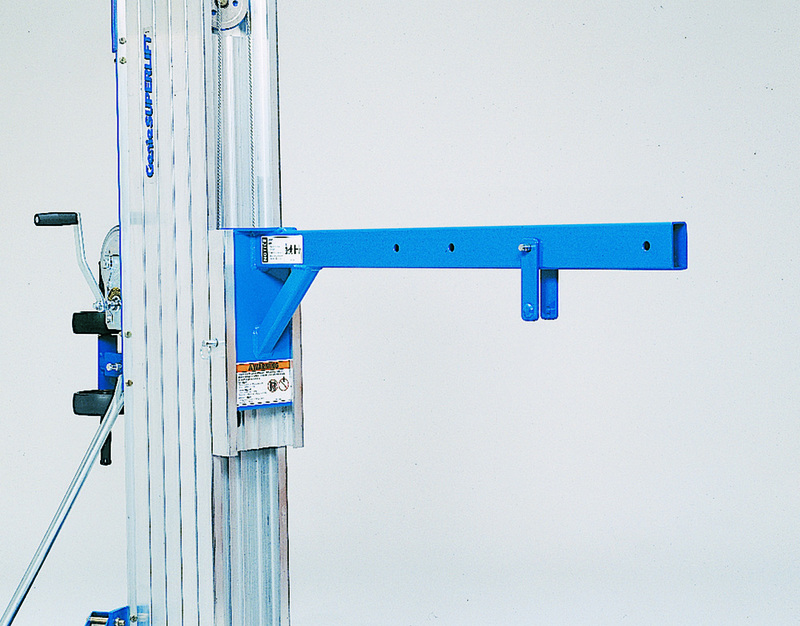 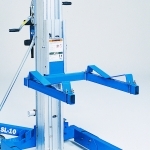 Genie Superlifts can be customised to create the Material Lift that you need. 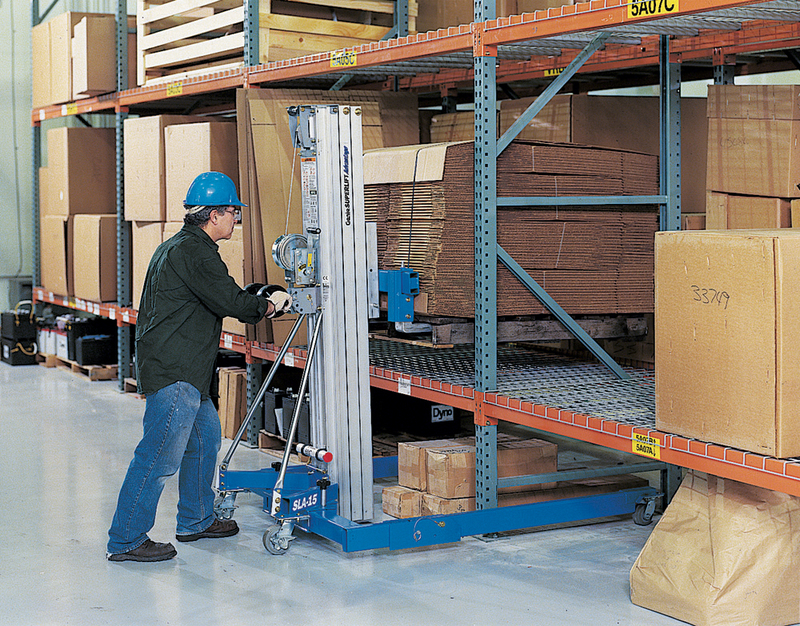 The Genie SLA™-10 Straddle Base Superlift has a lift capacity of 454kg and can lift loads beween 0.80m and 1.27m wide. 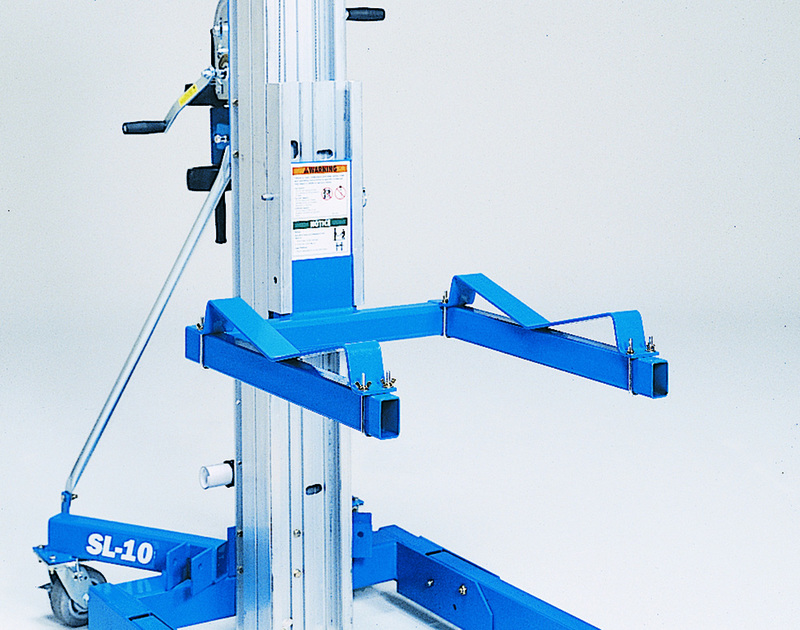 The Genie SLA-10 Straddle Base also handles pallets up to 1.22m wide and like all of the Genie Superlifts, the Genie SLA-10 can be customised to suit your needs. 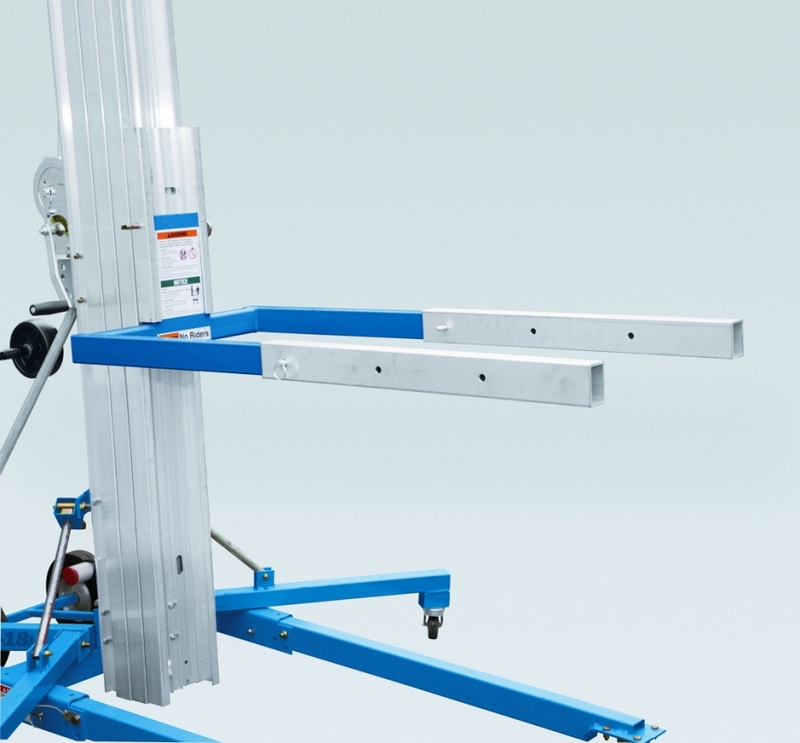 Standard forks accommodate a variety of general loads but you can get an extra 51cm of reach height be turning the forks over and re-pinning. 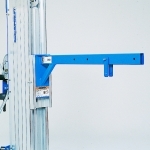 Optional adjustable forks widen to accommodate loads up to 0.76m wide. 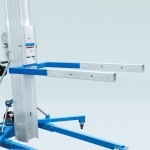 Optional rear transport wheels to assist manoeuvrability on uneven surfaces.